Home / Blog / Amazing Flavors! but prefer the vaping alternative. 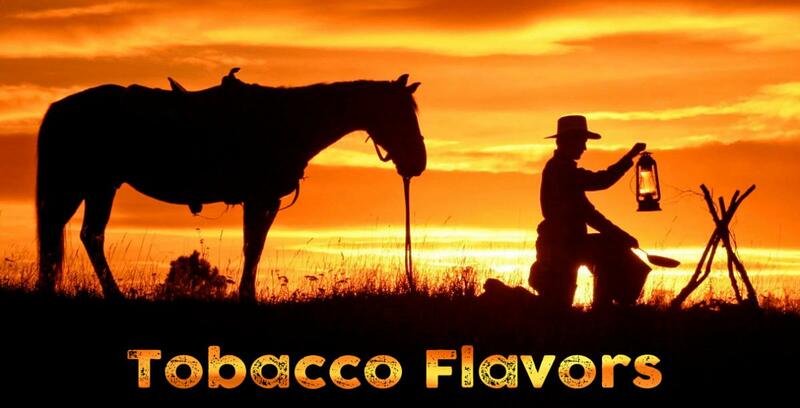 If that speaks to you, we offer nine distinct tobacco blend options for your vaping pleasure. It doesn’t get any cooler than our cool, minty, mentholated tobacco blend! Enjoy a blast of minty coolness with your tobacco flavor. This is a great vape for anyone looking for a subtle tobacco flavor. Flue curing produces tobacco with a mellow, lightly sweetened taste. The newest member to our tobacco team! Smooth and subtle tobacco with a unique blend of pear and honeydew. A smooth tobacco taste with a hint of delicious honey; adding a light honey aftertaste without overpowering the flavor. Similar to Honey Cured, Peach Pit offers a blend of tobacco with a slightly more prominent, succulent peach aftertaste! Our richest, thickest tobacco blend! Swagger features a 12-ingredient blend including maple, caramel, vanilla, hazelnut and more offering a complex and intricate tobacco flavor. For the traditional cigarette aficionado, Western Blend is reminiscent of classic cigarette tobaccos. A full-bodied tobacco and revitalizing menthol compete for your attention in this popular tobacco flavor. In the spirit of National Stress Awareness Month, we have advanced pre-built coils in stock at both locations! Now you can have the incredible flavor and vapor production from advanced coil builds without the stress and time required to make these coils by hand. The idea behind these coils are, the more grooves and ridges a wire has, the more surface area it contains. This extra surface area allows more juice to settle and vaporize which results in extra flavor! Vaping math isn’t always as straight forward as you might think! Are you having trouble stepping down your nicotine level? All of our lab made juices contain pharmaceutical grade nicotine that are precisely measured under high levels of quality control. Given the same volume, these juices mix evenly. So what does this mean for you? Let’s say you’re at a 12mg nicotine level and are looking to taper down to a lower level. You tried the next step down, a 6mg, but found that jump was too much for your personal needs. Well, you can take that 12mg of nicotine, mix it half and half with a 6mg level and you will now have a 9mg! Looking to calculate different levels? With a half and half mix of two different levels of nicotine its quite simple! Add the two levels together, then divide the sum by 2! Remember, there’s no need to stress! If you have any questions you can always send us an email, give us a call, or stop by either store as we love to help!